Our SFS 350 case erecting machine is essentially developed for the beverage industry where bottles are manually loaded or using an indepent pick and place unit. First, blanks are placed vertically in the magazine and can be loaded during production with the machine running. The blanks are separated from a carton magazine and formed into a U-shape around spindles. Before they arrive to the bottom closing station the cartons are subsequently formed into a shape of a tube. The gluing takes place during the transfer. 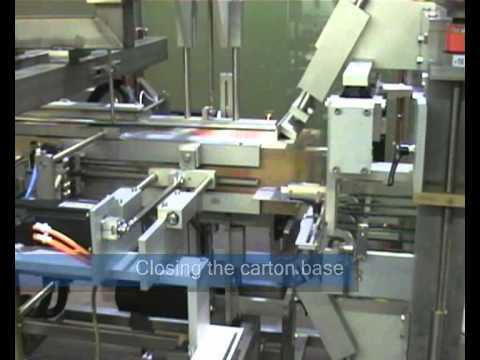 This case/carton erecting machine is able to operate at the speed of 60 cartons/minute with 6 bottles in each carton. 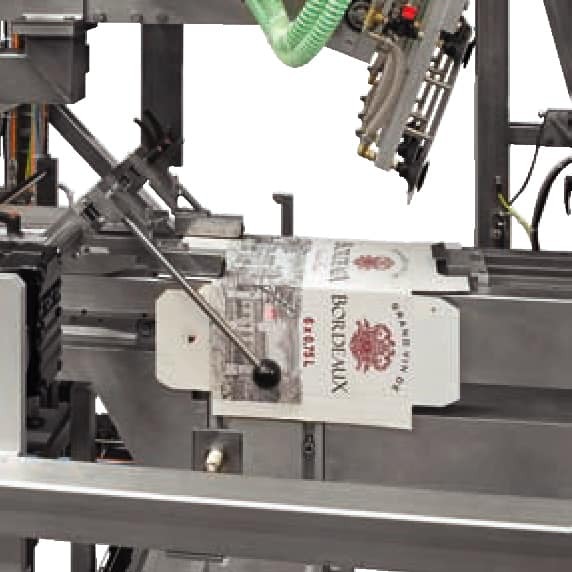 A fundamental characteristic of the machine is the format flexible design, which enables the user to produce an impressively wide range of rectangular, square and octagonal carton formats, as required. Of particular importance are the rapid and easy format changes by means of a spindle adjustment which, as an option, can also be fully automated by a servo drive. Any necessary format parts can also be changed rapidly and safely by means of a quick change attachment system. The machine works fully automatic. The whole machine is controlled by cameras which automatically send error messages to the operator in case of a failure enabling a quick reaction to any fault.